View of the newly protected property at Stuyvesant FarmsRobert Rodriguez, Jr. Located within the Columbia-Greene North Scenic Area of Statewide Significance, this mix of picturesque grassland meadows and sensitive forest ravine habitat is prominently visible from a public road linking the Town of Stuyvesant to its Hudson River shoreline. The property adjoins farmland previously conserved by Scenic Hudson and The Nature Conservancy, which in turn abuts another farm preserved by Scenic Hudson, creating more than 595 contiguous acres of protected land. Its 35 acres of open meadows provide a high-quality hayfield as well as prime bird habitat. The land also borders a stream that flows into the Hudson River a half-mile away. The owner originally was resigned to selling the property to the highest bidder, leaving open the threat of residential development. Our purchase of development rights guarantees the land's excellent soils can always support Stuyvesant's agriculture-based economy while contributing to its rural charm. Since Scenic Hudson initiated plans to conserve a "critical mass" of working farms in the town in 1999, we've safeguarded more than 3,050 acres encompassing 12 farms. 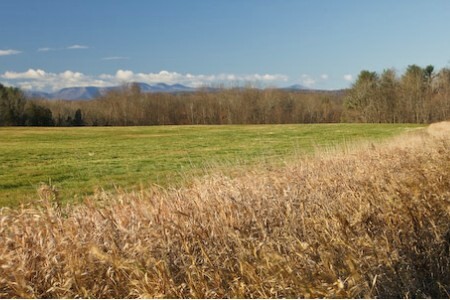 Additional farmland in Stuyvesant has been preserved by the Columbia Land Conservancy, Open Space Institute and The Nature Conservancy. The purchase is part of Scenic Hudson's collaborative campaign to Save the Land That Matters Most, protecting 65,000 acres of great scenic, ecological and agricultural significance.